We would like to thank Nicola, at the Ladywell branch, and her team, for all the help and support they gave us at this difficult time. Everything went smoothly on the day. We did not have to worry, all was taken care of, without fuss and as unobtrusively as possible. Alan, the director of the funeral on the day, rang us and checked every single detail with us, to make sure we were happy with everything. Everyone treated us with care and kindness, and Nicola didn't worry how many times I rang up with queries or dropped in to see her. She was there with sympathetic understanding and got things done efficiently. Nothing was too much trouble for her. Thank you. Dear Mr Kelly Thank you for your review about Nichola and our team. We appreciate your kind words. Dear Julie, Thank you for taking the time to leave a review, I really do appreciate it. I want to thank you for entrusting me to arrange your husbands Funeral and We're glad it all went so well on the day. Thank you for the positive feedback about our Funeral Team on the day over the phone it means alot. Dear karen, I really appreciate you taking the time to leave such a kind review. We're pleased that everything ran smoothly on the day and that our Funeral team we're just as supportive and kind on the day. I want to thank you for appointing me to help arrange such a personal and loving Service for your Mother who was loved dearly. Mears repatriation provided a very professional service. Lana and Patrizia always responded promtly to all questions and queries that we raised. We were very happy with the service we were given at such a difficult time. Dear Lorna, Thank you for taking the time in writing a kind review in regards to Lana and Patrizia at our Repatriation Centre. It's nice to read you had received a very Professional Service Throughout. The staff are very good (Nichola), she gave the relevant information / advice needed to plan our mother's send off. She listen to our request and take all concerns on-board. We would have scored excellent but they was a slight issues with clothing which was resolved. On the day of our mother's funeral, we had horse and carriage for our mother, It was absolutely lovely. We are very happy with the service Mears' concierge (Aaron and team) provided, they were friendly, respectful, caring, patient and very professional at what they do. We also had two doves, which was brilliant, however, the gentleman that arrived with doves rushed us to release them earlier than planned. Nevertheless, the moment was touching and achieved what we wanted. 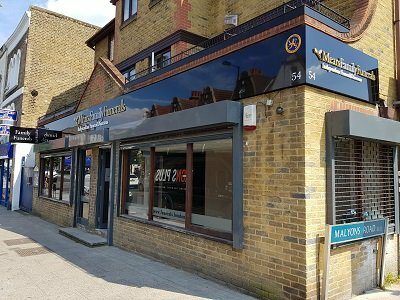 Overall the service received from Mears team in (Ladywell) Lewisham was very good. Dear Marlene, Thank you for taking the time to write a review in regards to myself and our Funeral Team. I'm happy that everything ran smoothly and our Funeral Team were Patient, Professional throughout. I would personally like to thank Nichola at the Lewisham branch who made the not so nice task of organising my mothers funeral much easier than expected. She kept in touch throughout the whole process and everything went extremely well, including Sally who officiated the ceremony with special thanks especially to Aaron who dealt with a couple of irate drivers directly in front of us on our return journey efficiently and effectively. Again thank you all very much! Very caring staff and everything went well on the day. Nicola has been very helpful with information and dealing with others. The Celebrant, Sally, did very well and made a simple service very moving and rather lovely. Thank you all. Dear Wendy, Thank you for taking the time to write a lovely review in regards to myself and Sally, We're Glad to hear everything went well on the day and the service was Lovely and Moving. Thank you again for the kind review Wendy. 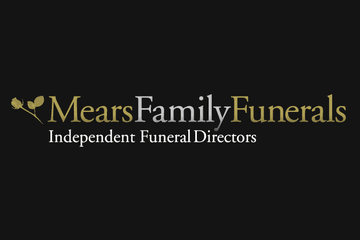 Mears Family Funerals Lewisham Branch will provide you with a free obituary as part of their service.